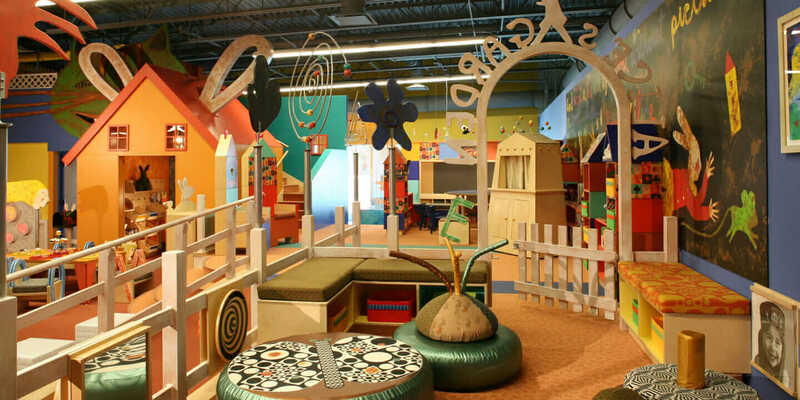 This story is the second in a two-part series about Chicago-based firm Architecture Is Fun (AIF) and the facilities they design to inspire and educate children. In part one, Director of Architecture Peter Exley talks about AIF’s philosophy and the multiple layers of designing children’s museums. There’s often a crucial psychological component tied to AIF projects. One that tapped into the mindset of family needs was the Ronald McDonald House in Oak Lawn, Ill., a home away from home for families of sick children hospitalized at Advocate Hope Children’s Hospital. AIF worked on the project in association with Constantine Vasilios & Associates, also based in Chicago. Throughout the years, the Exleys have seen considerable results following the construction of their play-based projects. According to Peter, their Exploration Station project in Bourbonnais, Ill., built in 1997, has had a $1-million-per-year impact on local tourism—a big win for a town of 30,000 people. Although AIF has won nearly two dozen awards for their designs—including AIA Chicago and Benjamin Moore (the HUE Award) honors—the Exleys have also had challenges, particularly in economic downturns. Meanwhile, over the last four years, AIF has worked on the Rio de Janeiro Entertainment Complex in Brazil, an outdoor children’s entertainment and exploration facility. So AIF aimed to create a facility that would cross socio-economic boundaries, a place where kids can make art, build and engineer things, play music, dress up, climb a geodesic dome, sail boats in a mini-lagoon, explore wind turbines and solar energy, and play games.